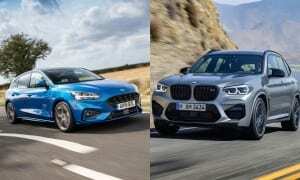 How To Buy The Best Medium Car - Which? The best medium cars are great all-rounders. Use our expert guide to make sure your choice ticks all the right boxes. Don't be influenced by the sales figures - the best medium cars aren't necessarily the best sellers. Cars of this size do vary considerably in terms of their versatility, practicality and performance, so make sure you choose the one that's right for you. We set out the factors to consider when making your selection. Discover the medium cars that excelled in our tests by viewing our best medium cars page. Popularity doesn't necessarily equal quality. Medium cars sell in huge numbers, but it often pays to look beyond the most obvious choices in this class. There are some terrific models available that may be cheaper to buy, better equipped and offer a longer warranty - even if they don't have such a fashionable badge. 'Mainstream' medium cars can suffer frightening depreciation. A Ford Focus 1.6 Zetec, for example, retains just 35% of its list price after three years and 36,000 miles. A 'premium' alternative like the Audi A3 is more expensive to buy, but better residual values ( around 43% after three years) mean that overall running costs could be lower. Many medium cars are volume sellers and oversupply can be a problem for dealers, who need to shift stock. 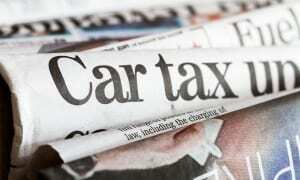 Try car supermarkets and online brokers to see how much you can save. Also, look out for great deals on ex-demo and ex-fleet used medium cars. Don't buy a mid-sized saloon unless you're buying second hand. When it comes to medium cars, the UK is a nation of hatchback buyers - we simply don't go in for medium saloons like the Chevrolet Cruze or Volkswagen Jetta in great numbers. So while the value of a saloon will drop like a stone if you buy it new, depreciation can be your friend if you're buying used, due to a lack of second-hand demand. Check a car's safety rating, especially if you're buying second hand. Many people buy medium hatchbacks as first family cars, but the safety equipment on used models can vary. Electronic stability control (ESC) is now a requirement for all new cars, but second-hand cars may not have it installed. Desirable safety kit such as curtain airbags may also not be installed. Modern and useful safety features that you may want to look out for include technology such as blind-spot and lane-keeping assist, radar-based assisted braking systems (these will slow/stop the car if it detects it's about to crash) and adaptive cruise control (in traffic it will modulate your speed for you, based on the car in front). If you are considering a medium car as your first family car and you have small children, check that the boot will be large enough for your requirements. Some medium cars, such as the BMW 1 Series, may not offer sufficient space. However, there are some models that offer exceptionally large boots, like the Honda Civic, which have claimed capacities of more than 400 litres with the rear seats in place. If you’re buying a medium car you’ll probably be wanting to use the rear seats - so make sure there is a good level of comfort in the back. Sloping roof designs can cause issues for access and headroom, although this doesn’t tend to be as much of a problem for hatchbacks. Consider legroom for both children and adult rear-seat passengers, check to see if there are Isofix mounting points for a child seat and make sure that the rear doors open wide enough for easy access. Also, make sure the rear window frames are not so high that a small child wouldn’t be able to see out (this can exacerbate car sickness, making a mess of your lovely new car). If you're buying a medium-sized car for family use, you may want to check out our expert family car buying tips. Popular mid-sized cars like the Astra, Focus and Golf are desirable to criminals for two reasons. Firstly, their sheer popularity makes stolen examples easier to sell on to unsuspecting second-hand buyers. Secondly, with demand for spares being high, medium cars can also be broken down and sold for parts. Check the Thatcham security ratings in our car reviews – we give a star rating for both theft of the model and theft from it, where tested. We’ve already suggested buying a hatchback over a saloon, but that’s not your only option in the medium car sector these days. With ever more compact SUVs hitting the market, you could go for a vehicle that offers similar interior space and boot capacity, but with a raised stance and the option of four-wheel drive. 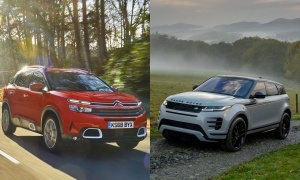 Fitted with technologies such as stop-start to keep fuel consumption and emissions down, and therefore classified in low tax bands, these new crossovers can compare favourably to traditional medium cars for their ongoing cost of ownership. If you want a sports car but have a family, a hot hatch like the Volkswagen Golf GTI is a great compromise between performance and practicality. Watch out for higher insurance costs, though, and you'll need to make sure that all your family can cope with a firmer ride - large wheels and low-profile tyres, not to mention sports-tuned suspension, may not give a ride your passengers would call comfortable. And before you get too carried away, make sure that if you need to use child seats or baby carriers, that these will be compatible with the heavily sculpted sports seats normally fitted to performance hatchbacks. Visit our reviews page for definitive verdicts on more than 700 new and used cars.